Please check back soon for when tickets will be released for this event. 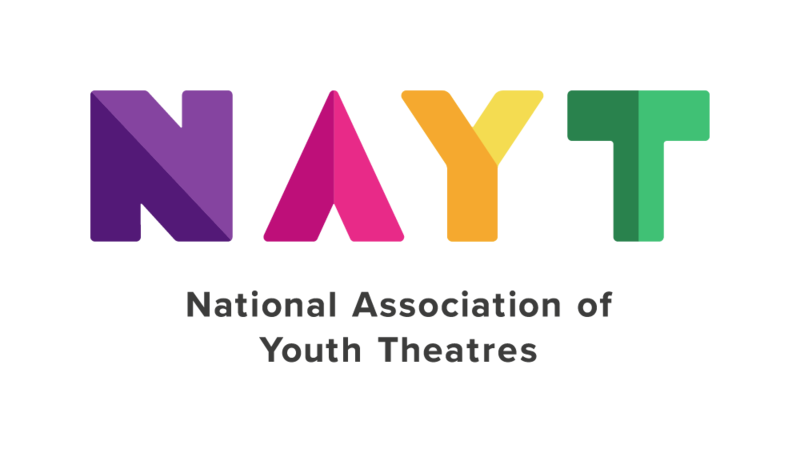 Raising The Game is NAYT’s long-established training event for Youth Theatre directors, practitioners, freelancers and assistants working with variety of groups in an YT context. This year we're working with the Academy of Live & Recorded Arts and their two campuses. The North RTG will take place in Wigan on the 14-15th September, the South RTG in London 21-22nd September. The weekend includes a series of high quality workshops from artists from across the UK, an opportunity to network with other YT practitioners. It’s also a friendly and inclusive space, designed to connect people together in a like-minded community. Experienced artists can learn new skills, as well as a nurturing environment for emerging practitioners. In addition to workshops, we run a special Youth Theatre Forum event, and programming a performance into the Saturday night. Each delegate has the opportunity to take part in 4 workshops across the weekend. More workshops and a Saturday evening performance still to be confirmed. After high praise at our last Raising The Game, we’ve invited Company Three back to lead a band new workshop with new games, exercises and ideas on devising and making relevant, sharp and genre-pushing theatre. Company Theatre are an award-winning theatre company making intensive, long-term collaborations between young people and professional theatre-makers. 20 Stories High are passionate about making gritty, organic and challenging theatre for and with young people from excluded communities. This workshop, led by Nathan Powell, Trainee Artistic Director, explores creating safe, accessible, playful and engaging spaces for marginalised groups. Based in South Yorkshire, Tell Tale Hearts make colourful theatre which incorporates children’s voices. This workshop is designed to give anyone working with under-10s confidence in engaging younger participants through the use of dramatic ritual, games, play based devising principles and use of intelligent materials. The staff of ALRA are offering a masterclass in text, monologues and audition techniques. This useful workshop will assist not only with supporting young people looking at drama school, but also for text-based shows and workshops. The Knotted Project create intricate & original physical theatre, and have been commissioned by The Lowry, The Dukes and The Brewery Arts Centre. This workshop explores their approach to Physical Theatre, as well as their methods of working with groups of young people, including children with severe behavioural difficulties, refugees, young carers and children in SEN settings. Sally is a private vocal tutor specialising in voice improvement and vocal safety. This workshop will offer skills that can be passed onto young people, as well as ensure the techniques to look after practitioner's voices. Arts Award are offering a special session exploring the Arts Award model for anyone who has questions or wants more information on how to use the toolkit with your groups. NAYT’s Chair, Steph Meskell-Brocken, is co-Artistic of Minerva Arts, worked for community-arts organisation Peshkar and various other organisations across the North West. This is an informal look at funding streams, opportunities, tips and advice for your organisaton. Please note: Member ticket refers to a paid Member of NAYT. You can check whether you are a paid Member via the NAYT website (www.nayt.org.uk). Membership is £40 for small organisations, £80 for large and lasts for a year. Concession tickets are for those who otherwise financial circumstances would be a barrier to attending. These include (but not limited to) attendees on Universal Credit, PIP, tax credits, attendees with higher travel costs, child care costs, significant loss of income due to attending, low-income freelancers, students etc.